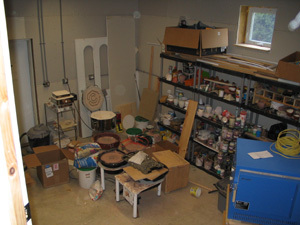 The studio and a fused and slumped bowl. 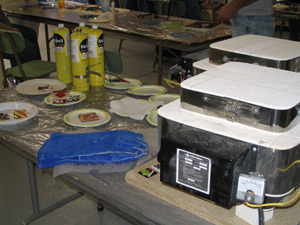 An introduction to fusing and slumping. 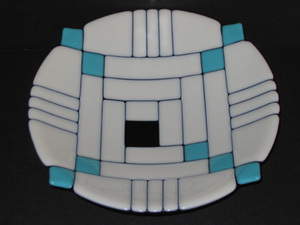 Students will make small jewelry pieces and at least one slumped bowl. One-day and two-day sessions available. 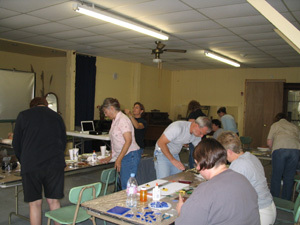 A workshop for your group can be arranged at the studio, or at your facility. All tools and materials provided. 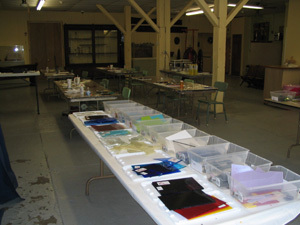 From clay model to cast glass, this workshop demonstrates the casting process. 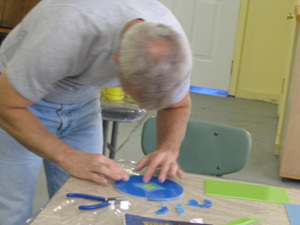 Students will create small glass paperweights. See examples.